Police are appealing for information after a VW Golf was stolen from outside a home in Haddenham. The incident happened at an address at The Gables sometime between July 21 and July 25. The burglary was discovered by a neighbour, while the occupant was away. Police say burglars appeared to use a ladder to access a first floor window before searching the property, stealing car keys and then a Volkswagen Golf parked outside. The reference for this burglary is 43180227264. 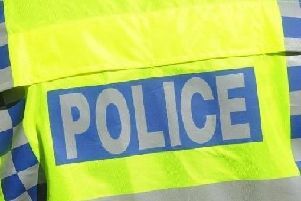 In a separate incident in Haddenham, a burglary occurred in the early hours of Monday July 23 from a shed on Townsend. The shed had been left insecure and bottles of wine were stolen from inside. The reference for this burglary is 43180225290. PC James Lacey, based at Aylesbury Police Station is investigating the burglary at The Gables. Anyone who saw or heard anything suspicious in the area is asked to call PC Lacey via the 101 number.